The International Joint Master Degrees are integrated international programmes offered jointly by a consortium of universities. UNIVPM participates to the International Master in Marine Biological Resources (IMBRSea), a joint Master programme organized by nine leading European universities in the field of marine sciences, Ghent University (BE), University of Pierre and Marie Curie (FR), University of the Algarve (PT), University of Oviedo (ES), Galway-Mayo Institute of Technology (IE), University of the Basque Country (ES), Polytechnic University of Marche (IT), University of Bergen (NO) and Université de Bretagne Occidentale (FR), supported by fourteen Marine Research Institutes belonging to the European Marine Biological Resource Centre (EMBRC). 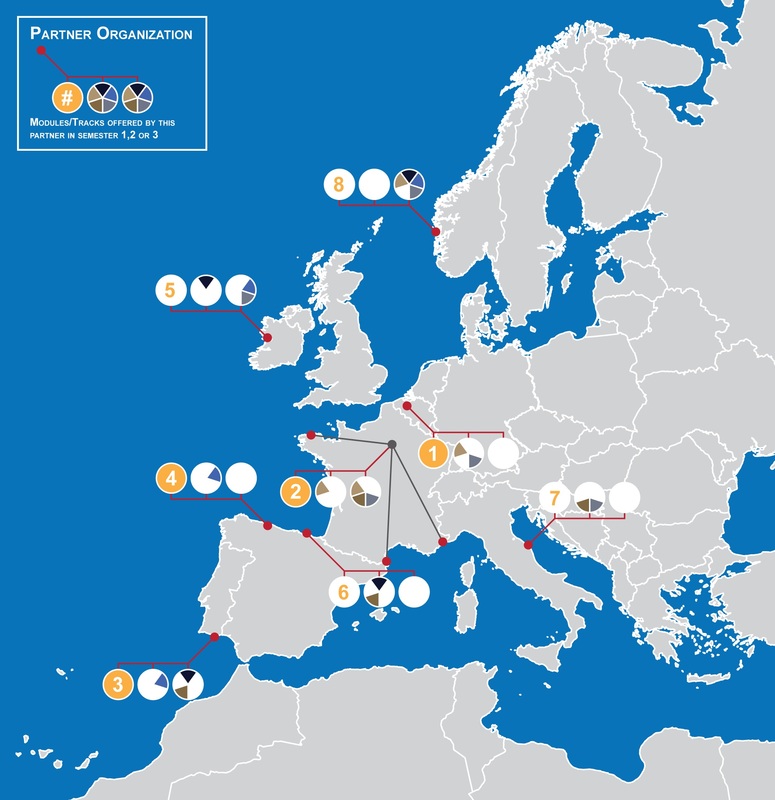 Based on the objectives of the EMBRC consortium, IMBRSea covers a wide, yet consistent, range of subjects related to the sustainable use of marine biological resources. With an emphasis on marine biological and ecological processes, the programme links biology of marine organisms and environmental studies with subjects in marine policy and planning. During the study programme students are obliged to study in at least two EU-countries. Successful students are awarded a joint degree.